Algeria has abandoned more than 13,000 people in the Sahara Desert over the past 14 months, including pregnant women and children, expelling them without food or water and forcing them to walk, sometimes at gunpoint, under a blistering sun. Some never make it out alive. Untold numbers perish; nearly all of the more than two dozen survivors interviewed by The Associated Press news agency told of people in their groups, who simply vanished into the Sahara. "Women were lying dead, men... Other people got missing in the desert because they didn't know the way," said Janet Kamara, who was pregnant at the time. "Everybody was just on their own." Algeria's mass expulsions have picked up since October 2017, as the European Union renewed pressure on North African countries to head off migrants and refugees going north to Europe via the Mediterranean Sea or the barrier fences with Spain. An EU spokesperson said the EU was aware of what Algeria was doing, but that "sovereign countries" can expel migrants and refugees as long as they comply with international law. 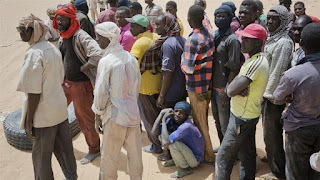 The migrants and refugees' accounts are confirmed by videos collected by the AP over months, which show hundreds of people stumbling away from lines of trucks and buses, spreading wider and wider through the desert. "You're facing deportation in Algeria - there is no mercy," he said. "I want to expose them now...We are here, and we saw what they did. And we got proof." Algerian authorities have refused to comment. 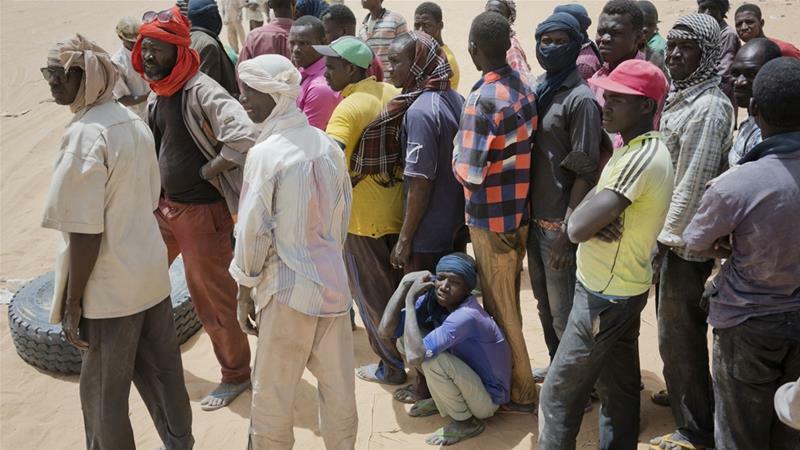 But Algeria has in the past denied criticism that it is committing rights abuses by abandoning migrants and refugees in the desert, calling the allegations a "malicious campaign" intended to inflame neighbouring countries. The Sahara is a swift killer that leaves little evidence behind. The IOM has estimated that for every person known to have died crossing the Mediterranean, as many as two are lost in the desert - potentially upwards of 30,000 people since 2014. "They come by the thousands. This time, the expulsions that I'm seeing, I've never seen anything like it," said Alhoussan Adouwal, an IOM official who has taken up residence in Assamaka to send out the alert when a new group arrives. He then tries to arrange rescue for those still in the desert. "It's a catastrophe."